As always, your astute posts make me laugh out loud! One of my degrees is in abnormal psychology, and I’d say your assessment of Peter’s emotional state is perfect. I’d haven’t read Peter Rabbit in years, and never thought of interpreting his mental state according to the DSM. Thanks. I originally thought Peter had PTSD, but when I looked up the criteria, PTSD requires the person relive the traumatic event and that the symptoms persist at least a month. Acute Stress Disorder fit better. All of this is sorta funny when it happens to a fictional rabbit, but not funny when it happens to actual people, and there are lots of men and women who suffer from one or the other. Thinking about it again, the rabbit tobacco joke probably went too far, and maybe the one about stable employment. This is awesome! I never looked at Peter Rabbit this way, but I loved it as a child. Thanks for sharing such a creative perspective and take on an old classic. Thanks! Beatrix gets most of the credit. Nothing like a story that looks simple, but with a whole lot going on underneath, just waiting for someone to notice. And we could start analyzing characters in Grimm fairy tales… lots of disorders there! I was thinking a post feminist speculation on the relationship between the dolls in “The Tale of Two Bad Mice” and how the mice are a projection of their psychosexual impulses. One ambiguous vote for post feminist speculation it is! I think I might have to follow you. Don’t let me down. I’ve been thinking that myself, all day. I will do my maximum best. I have forwarded this post to my community mental health OT wife as I am sure she will love it. Thanks! I hope i don’t seem to making fun of actual mental illness, however. What a great analysis! Poor Peter, who’d have thought? Glad to have found your blog via Freshly Pressed. Great blog! I loved this book and I love your analysis! Thanks, Jeremy. I really appreciate the good feedback. Because we see into things what we want to see. You see stories about life’s menaces, while others see a cute rabbit, morals, eloquent writing, etc. I never liked peter rabbit that much. boring stories. So who’s right? Those who see menace or those who see cute or those who see boring? No such thing as right or wrong. Your experiences in life determine that you will read this story much differently than someone who’s life experience has been diametrically different. Lit Theory must take the individual reading and writing the story into account while analyzing it. Hiya. That question was a little test to see how jeffitron, I think it was, would respond. I actually agree with you. There are no right answers in reading fiction, although I think there can be more right or more wrong answers, depending how good a case you can make for them; and there can be wrong answers … but they tend to be obvious. For example, at the end of “Hamlet” the Danish Prince marries Ophelia and lives happily ever after. Unless you think all texts are absolutely undetermined, you really can’t make that statement, because in the world of the play it is, by every indication, factually wrong. Thanks for stopping by! All are wrong but the author, as only the creator knows what their story, their image, their musical composition, their mathematical equation, their awkward ellipses, their words mean. I am wrong, even if Beatrix felt her work was boring or was meant to express boring, as her boring is not my boring. But I suppose I am right in my wrongness. It doesn’t matter who is right or wrong as we are all just ink on a page, or data displayed as something other than what we want ourselves to be. Even if it did matter, your or I are not the ones to decide what is right or what is wrong. Peter Rabbit has that holds that distinction. Sorry about the late response…. much has kept me from remembering that I forgot to check back to this site from time to time, but I did remember. No problem. I don’t think anyone owes me an answer to anything, and thanks for stopping back. You seem to enjoy the darker side of fiction, as do I. You might like a few of my posts, too. Do pop over if you get time. I’m studying Cognitive Hypnotherapy which, as you’d expect, covers trauma, stress, anxiety and obsessive behaviours. 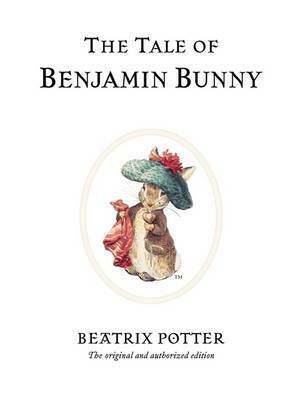 I never expected to have to add Beatrix Potter to my list of seminal texts on the subject. I should mention, although I do say in the post I’m an “amateur”, that I am just a layperson and not a mental health professional, so my diagnosis is suspect. Or in other words, I’m practicing on Peter without a license. Thanks for the reply, Peter (not a namesake?). I have a couple of ideas for posts rattling around in my head (I’m still new to this blogging lark and haven’t quite got the knack of quick posting). Are OK with me quoting some of your Stressed Rabbit post as I think it’ll fit in quite well. I’ll drop a link in to your blog if I do use it. Oh yes, I’d be delighted to be quoted and would take it as a compliment. The best I can tell you on quick posting is to always be looking for new ideas and to work them over in your head at spare moments. I developed 100 Word Reviews for the quick post, but my latest on Madame Bovary took about three weeks, because I had to re read most of the book, decide what I could say that might be interesting to people, then try to make it work in a short format. Once the lead sentence finally popped into my head, it took me a day with about an hour of actual work. Also, I will say I try to avoid posting for the sake of posting. If it’s just filler, people will notice, and they’ll stop reading you. thanks for the reply and the tips. It’ll be useful. I’ll let you know when I quote you. 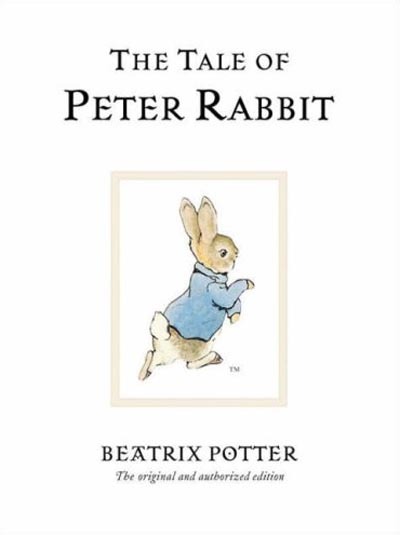 I read Peter Rabbit to my kids, and they liked it, so I read it a lot, which tells you that I think it’s okay to read stories to kids that could be scary (and of course explains why I spent so much time thinking about the book). Real child psychology professionals have theories I’m sure about these stories. Having already impersonated a mental health professional once, I’m not going to do it again with actual people. My own personal, non-scientific, subjective, unlicensed opinion is that stories which impose order on chaos, and which seem to have power over threats by containing them in their structures, reassure children rather than unsettle them. In any case, I wouldn’t keep reading a book to a child that gave them nightmares. Will never read Peter Rabbit in the same way! It’s always a shock to the system to have a childhood memory rearranged so, but at the same time this is a splendid tribute to reading, and the chance it gives to see a story however you want to! I hope I didn’t damage a childhood memory, however. That wasn’t my intention. In college, a girl was telling me how much she like “Alice in Wonderland” and me, being brilliant at the art of making friends and/or the art of seduction, replied after a time, “You know Lewis Carroll liked little girls?” Well, she didn’t, and although when you look at the photos Carroll took, they would likely get him prosecuted today, that was probably not the moment to bring it up. Oh, I’m not a doctor. In fact, I just got a call from the state medical board. Know a good attorney? lol … well good luck with that, I’m an artist the craziest of the lot and of no use as an attorney. Hi Peter, I think you are putting too much thought into Beatrix Potter’s Peter Rabbit. I don’t think she had any thoughts of Acute Stress Disorder but just wanted to be entertaining. Potter made the hero of the tale a disobedient and rebellious little rabbit and then subverted her era’s definition of the good child and the literary hero genre which typically followed the adventures of a brave, resourceful, young white male..
Oh yes. First, I don’t mean to imply … I hope I haven’t … that my reading was Potter’s intention. I have no knowledge of Potter’s intentions, and as a more basic matter, I believe Acute Stress Disorder was a new diagnosis in the DSM IV, copyright 2000, which means of course that there is no way (unless I were to suggest time travel is possible), that it could have been Potter’s intention. I’m also not, as I suspect you may guess, completely serious. I think my reading is interesting, and it fits, but I also think the idea is funny. My wife accuses me of trying to have it both ways, by being funny and serious at the same time, and you might decide I’m guilty of the same charge. I like the reading of subverting the definitions of the good child and the literary hero, by the way! Brilliantly done. I enjoyed this immensely. I personally very much like your mix of serious and funny. Thanks! Thanks. Sometime folks think I’m messing with them with the ambiguous funny-serious combo. And of course, sometimes I am. But not here. Here I was hoping folks would enjoy both sides. Also, you mention above about wanting to be funny and serious – you very much are from what I’ve read so far. Intelligence and humor are a tricky combination, but it’s certainly doable through insightful, clever, and witty comments. Myself and my entire family are the same way, so I understand exactly what you mean and had to say something. Thank you, Erin. You are one of many people making my day, and I’m grateful to you and all the rest! Makes you wonder how much Peter’s mother actually misses Peter’s father. I loved these books when I was little! Even had a computer game that I remember playing at my aunts house. This post reminds me of my Psych and Lit class I took back in college…amazing the things that will surprise you in children’s stories. We looked a lot at the Disney Princess movies, too. Yeeah. A lot of troubles there as well! Peter Rabbit: One of my most cherished childhood books. Great post by Peter Galen Massey. I always enjoy the dark side of fiction! As a child I really loved the story. It’s really interesting to look at it from this point of view! Thanks for sharing! on October 3, 2012 at 9:22 am | Reply Acute Stress Disorder in Beatrix Potter’s Peter Rabbit « Christine Hammond, M.S. on October 3, 2012 at 9:23 am | Reply Christine Hammond, M.S. Thank you, Christine. Looking at your in mental health background, is it safe to say you think I didn’t get this completely wrong? I think I’m a reasonably bright fellow, and I have a decent layperson’s knowledge of health care, but as you may have notice, I tried to make clear I was also an amateur and didn’t check the post with anyone who actually works in mental health care. “But Peter’s trauma isn’t resolved as much as it is ignored, and the ambiguity of this resolution hangs over the end of the story.” So. smart. what a great blog! Glad I found it! Thanks! As I said to a couple other folks, the post is supposed to be funny but kinda serious at the same time. Not trying to mess with anyone’s head. I just like the complicated-ness of it all. I love this! It’s like how we let kids play “ring around the rosy.” Thanks for a great read! Thanks, Courtney. “Ring around the rosy” is the Black Death, yes? Rosies were the bubos. Sniffing posies or flowers were supposed to keep you from catching it. The rest is obvious. I have an old memory of a very grim history professor telling the story. I think my memory is right. This post is amazing! Made me laugh. Snorkmaiden in The Moomins goes through a few traumatic events (one including being kidnapped and held hostage by a pirate), but she doesn’t show many signs of stress disorder at all. Perhaps Peter Rabbit is more socially realistic. finding nemo is also terrifying! Dear goodness! You put my clinical analysis of pop culture to shame. I’ll think twice before exposing my unborn to such vicarious trauma. Can’t remember if I actually read the books but I do remember the film version I watched. Never thought about it that way! Thank you for hilarious insightfulness. I will probably not be able to read book the same again. nooooo! peter rabbit is PTSD? ?is benjamin in denial? I actually started with PTSD but it had a couple criteria that didn’t fit. One was reliving the traumatic event. Another, I think, that symptoms had to persist for one month. Now keep in mind, I’m not a health professional, so someone with a degree might have another opinion. In 1902 the female title Ms had not been invented – she wasn’t French was she|? I have visited her house in the Lake District several time and I didn’t get that impression. I grew up on Peter Rabbit! I wonder if what you read as a kid subconsciously affects you in some way. Guess I’ll have to dig out my Beatrix Potter books for a re-read. Peter didn’t upset my children on the conscious level, anyhow, as far as I can tell. I remember this was the first play I ever saw. I never knew most of this. Interesting! Also congrats on FRESH PRESSED! Thank you for both the compliment and the congratulations. They are both much appreciated! I don’t know how I got picked by WordPress, but I could scarcely be more delighted. Children should read these books, because they give them a better idea about how life really is….much better than fooling them with fairy tales such as Cinderella, etc. Great post. I love books and book reviews that explore the psychology (literally and figuratively) of literature. I’m looking forward to reading more of your reviews. Thanks! I do hope I please people who find my blog, and it is always nice to hear I have. Peter, this is timely for me, as I am often reading these stories now. Note that in many of these books, the mother says NOT to do something, and the creatures think, wow, what a great idea. I’m going to go do that! Now if Peter behaves, there is no story. An example of the imperatives of the medium overruling the imperatives of the message? I appreciate your comments on Beatrix Potter’s books. I watched the BBC videos with my kids and thought – wow, some of this is really scary. My little boy said, I don’t like Peter Rabbit, he keeps being naughty and is always in trouble and it’s scary. Perhaps the moral of the story is that if you live dangerously, you can’t be at peace. Who would want to go back to Mr. McGregor’s garden except for peer pressure after what Peter experienced? There’s a moral her too. I definitely feel that Potter’s books can be blunt, and the stories often have dark tones to them. May be a difference in the time period in terms of how people dealt with the fact of death and violence. Perhaps the truth is that we all are forced to live with facing life in this way – seeing terror and evil around us, taking risks, doing things we probably shouldn’t, while downplaying the consequences of our behaviors. And finally, the reality of death is something we humans really never face head on, and so perhaps we act like Peter all the time. Your little boy is smarter than some adults. I’ve a few comments along the line of “I don’t care about cute bunny stories” which made me think (1) the person actually hadn’t read the story or (2) they weren’t able to see what’s right in front of them. Potter is usually blunt, and if not necessarily dark, very ambiguous. My kids didn’t mind, but I don’t blame any child who does. “Your father had an accident there and was made into a pie by Mr. McGregor” is definitely blunt. Yes, and so low-key and proper, it can sorta slip by your radar. Well, my radar anyhow. Nice to hear from you here! We let our children read them because they are beautiful, charming and delightfully simple. Your psychological dissection of both the beloved author AND her creations is NOT, in my experience, typical behavior among the youngsters who are her enduring fans. Perhaps your experience is typical because your mind is typical, though my sample size for that theory is on the small side. Find a new place to comment.